The San Pedro Veterans hosted the Benque Veterans Football Club at the Ambergis Stadium in San Pedro Town, on Saturday, September 23rd, for the second round of semifinals of the Over-40 league. Both San Pedro Veterans and Benque Veterans sought a win, but at the final whistle, it was a clear 9-1 victory for the home team. The San Pedro Veterans now advance to the finals for the Over-40 League. The game started at 7pm, with both teams going straight on the offensive, looking to open the score. The Benque Veterans came determined to win, but the San Pedro Veterans were not an easy rival. 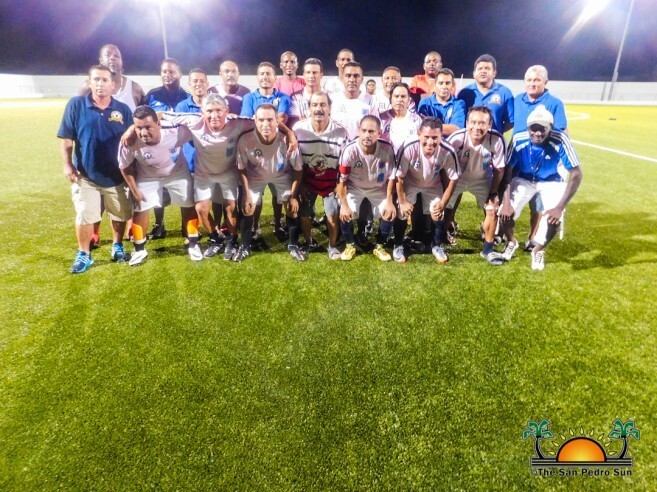 At minute 20, island veteran Christopher Hendricks got a red card, leaving the island team with only 10 players. 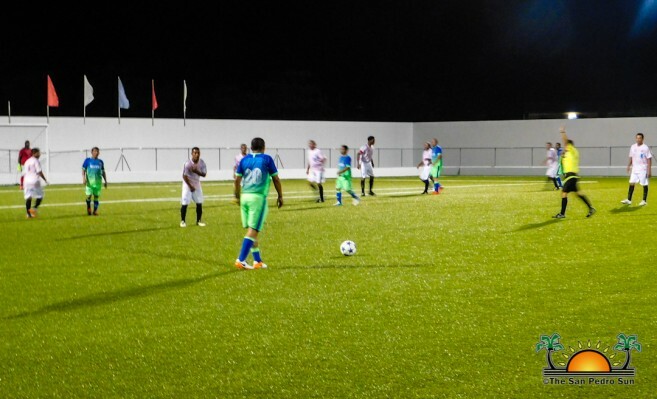 The pressure grew intense for the island team as they now had a disadvantage against the Benque Veterans. 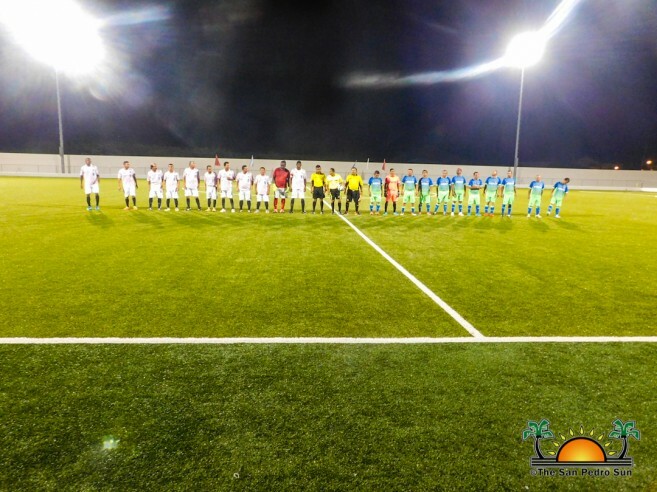 The match continued with crosses and passes, but the first half came to an end with no score. The story changed in the second half however, as San Pedro Veteran Jacinto Pinelo scored the first goal in the opening minutes. At minute 19 Pinelo once again found a way to score another goal for the San Pedro Veterans. Shortly after, San Pedro Veteran Alex Garcia nailed the third shot. Having 10 players on the team only motivated the islander players, as in minute 26, Garcia scored another goal for the San Pedro Veterans. The island team’s fans cheered loudly, motivating their players even more. At minute 29 Orlando ‘Landy’ Pinelo scored goal number five for the island team. Not satisfied as yet, Landy scored another goal at minute 36. Just a minute after, Benque Veteran Julio Ayala finally scored the first goal for his team. The San Pedro Veteran Alex Garcia retreated, then scored another shot for his team. In the last couple of minutes of the second half, San Pedro Veteran Orlando Pinelo once again found his way to the net and scored two more goals for his team. With a crushing 9-1 final score, the San Pedro Veterans easily defeated the Benque Veterans, advancing to the finals. On Sunday, October 1st the team will travel to Independence Village in the Stann- Creek District to take on the Mango Creek Veterans in the first round of the finals. The Mango- Creek Veterans recently defeated the Belize City Kulture Yabra 4-0. The game is scheduled to start at 4PM at the Michael Ashcroft Stadium.